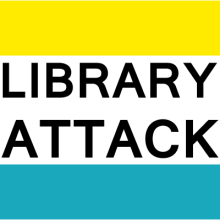 Library Attack! – Page 2 – Contemplative ranting on information professionalism. Back in 2015 I wrote about being radical through our actions, not just or words. This week I was reminded of that post when somebody in a union setting referenced “radical” R. David Lankes and I quipped, “I guess crossing a picket line is pretty radical.” They didn’t know the story and I had pretty much forgot about it too, except not enough to just say, “oh him” when his name was mentioned. Looking over that post, I found it striking how far things have progressed. Today at ALA, Librarian of Congress Carla Hayden has a keynote discussion with Michelle Obama. Critical librarianship is a pretty well known and established concept. I mean, even SLA has a Diversity, Inclusion, Community & Equity (DICE) Caucus now. We as a profession still have a long, long way to go to really be diverse and inclusive but I think we’re on the path there. We’re more conscious of who’s on stage, who’s in the room, and who isn’t but should be. People are finally listening and doing stuff. We just need to keep doing it. And then I think about our actions. Man, 2015 seems like a completely different timeline. But I know more librarians are engaged in actions, but we all need to be active and to see how we all play off one another. I’m still involved with SLA, focusing on creating opportunities and support for students and new professionals, paying it forward to all of those librarians who helped me stick it out for a decade. That’s just one piece though. Locally I am more active in our union because that is another concrete way to give back to the profession. I want to have a vibrant and diverse profession, so I am working on making it accessible to people by fighting for living wages and adequate professional development. Putting a philosophy into action. That’s one thing union bargaining across the board has taught me: it’s not just having good ideas and dreams of utopia, you need to have concrete steps to get there. It’s sometimes iterative but it’s a start. It’s an action. So I think a lot of us have been activated in this post-Trump era because we recognize that being idle isn’t an option. That gives me hope, but we have to keep fighting. Keep it up. And of course for the history lesson. In the last post I talked about the iconic punk band Crass. 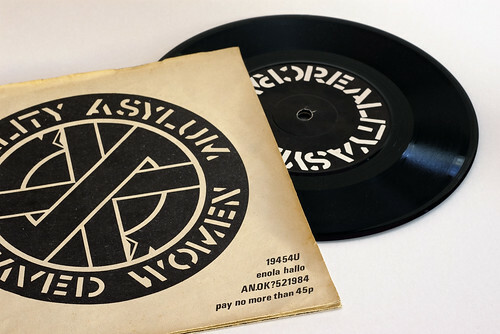 This picture is for the single of “Asylum” with the b-side “Shaved Women” (which was about French women who were Nazi collaborators). “Asylum” or “Reality Asylum” was also supposed to be on their first album Feeding the 5000 but the Irish pressing plant refused to press the record with it because the song is straight blasphemy. So the first pressing has blank space or silence labeled “The Sound of Free Speech” going into “Do They Owe Us A Living“. And in typing this whole thing up, man… every song is still powerful and relevant 40 years later. So, go listen to it. Next week is the SLA 2018 conference and I’m already starting to worry about packing. What am I going to wear? What’s the weather going to be like. Do I need to wear a suit? Are any of my suits clean? What about shoes? Will it be monsoon weather? Conference attire and conduct is so hard to talk about in terms of professionalism because it’s a nebulous definition and often used to exclude people. Oh you’re too casual? Unprofessional. Oh you’re wearing a suit when nobody else is? You’re out of touch with “professional norms”. You’re wearing heels? Trying too hard. You’re wearing flat? Not professional enough. 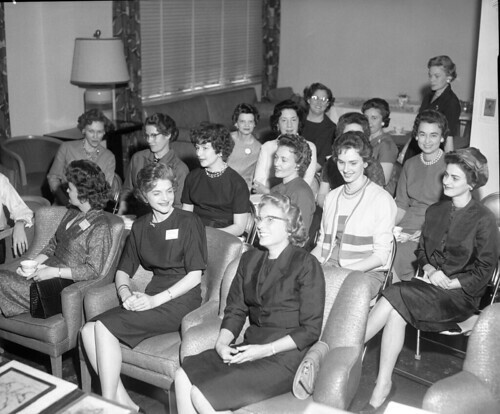 Let’s also not forget that professional dress norms are historically inherently sexist. So my advice to new (and old) conference attendees – particularly those going to SLA next week – is this: Wear what makes you feel comfortable, professional, and powerful. If that means a suit – then do it. If that means jeans and tennis shoes, OK! Heels? That’s cool. You will be on your feet a lot, you will be wandering around rooms with unpredictable climate control, you might be outside with East Coast humidity. So do what works for you. For most people at SLA in particular, this veers from business casual to professional business attire (suits) and it will vary. If you don’t feel comfortable in a suit and you’re not on the executive board, you’ll probably be fine. (Even if you’re on the board, you’ll probably be fine.) If you feel more comfortable in a suit, then wear it. Which then brings me to what we as colleagues need to remember – these rules (as describe above) are really arbitrary and these norms are really meant to discriminate against those who don’t know the vague rules. I recognize that I’m in a position of privilege because I’m established in my career and my organization, that I’m a kind of hip West Coast person working for a public university who dresses pretty masculine. As a result, I get a lot of leeway other people don’t get. If you’re from a more formal organization, remember your workplace norms are not universal. If you’re a more formal person, remember that your personal preferences aren’t universal. As we talk about barriers to the profession, we need to look at small things we can change now – and nonsense like “oh you must wear pantyhose” is low hanging fruit. I still don’t know what I’m going to wear, but I also know whatever happens it will be fine. And if it’s not, I’ll know which colleagues are arbitrary snobs and need some help understanding that “professionalism” is often a form of gatekeeping. More on Library Workers: What path is your position on? As I prepare to sift through the applications, it’s hard not to think about when I applied for this position 13 years ago. Everything was different here. We had more staff, no ILS, and a more traditional focus. I had been a student employee for a year and really loved the work. Applying for the circulation manager position was really my commitment to libraries (and I guess this library in particular – I’m still here). Less than a year after I was hired, the library director Dan Krummes pulled me aside and asked me what my career plans were. What did he mean? He bluntly said if I wanted to stick around this library for more than a couple years in that position I should go get my MLIS. Otherwise I should take some time to figure out what I want to do long term and work towards that. I applied to library school the next week. When I was getting ready to graduate on and started applying for jobs, they had a librarian position here at my library ready for me. After a couple interviews elsewhere, they hired me on a temporary emergency appointment. (I’ve since applied for this job two other times.) The reason they were able to do that was because Dan made sure there was an unfilled librarian position that could be filled. When the offer was presented to me, it was clear that he saw me as the future of the library and wanted me to stick around. He had a similar history, starting here as a student employee, getting his MLIS, getting hired as a librarian, and then eventually becoming director. When I was hired as a librarian, not only did I recognize I was following Dan’s path but also that I might be the last of a kind. That because it’s exceptionally rare for people here at this campus to be hired into the librarian series from a staff position without getting librarian experience elsewhere first. (When I made the leap, I definitely felt iced out by some of my colleagues who were staff and couldn’t make the same leap. I still feel residual guilt from the situation.) 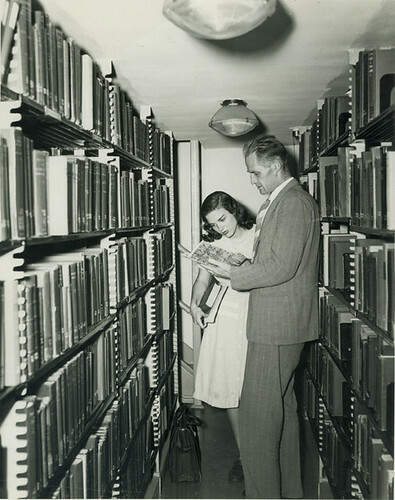 There are many people in library staff positions with their MLIS degrees doing good work, but for a variety of reasons it almost never happens that they then get hired as a librarian. In my library, this circulation manager position is kind of terminal for now based on our budget and organizational needs. I hope that will change some day and we can have more staff and more opportunities to grow, but right now I know what the budget will support. I make sure when I hire people that they know this is a job that will help build skills and provide a stable working environment, but it most likely won’t be a stepping stone to being a librarian on campus at this point in time. So when people apply to these staff positions, trying to get their foot in the door for a librarian position – they are getting a foot in the door, just not the door they’d like. And as I’ve mentioned several times, all library work is important. So it’s not that we should value one over the other, but we need to acknowledge that this kind of how things are so that everybody is on the same page. Not everybody who earns an MLIS wants to be a librarian and all of the “rights and responsibilities” that come with that classification. One previous circulation manager here dropped out of library school when they decided that being a librarian was just too many meetings and committee work, and they’d prefer to move up the staff ranks and fix things. They weren’t really wrong. Now in addition for us to be honest about the barriers and paths of different job ranks, we also need to think about how people can grow as professionals in whatever job. So if that is similar to the discussion Dan had with me where he asked my longterm plans, that’s not a bad thing. People don’t need to all aiming to be the director or the university librarian, but helping workers grow and thrive requires conversations about goals and wants. This will help them do their job better and be in a good position to get another job when they feel the time to do so (or the need arises). Fostering an atmosphere for honest discussions like that will hopefully minimize fractures and resentment, and help everybody feel valued in the organization. 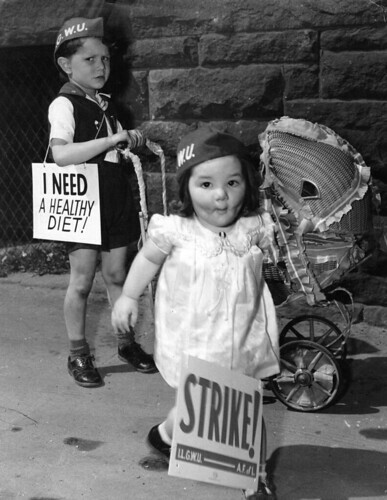 More on library worker solidarity: Librarians need to make amends. Since I last wrote about library worker solidarity last month, something has really been weighing on my mind about ways to actually achieve worker solidarity in libraries. I’ve asked other union librarians about this, and the lack of answers is kind of telling. When librarians organize and unionize- just like every other union – the focus is on their situation. Eventually, they might look to other librarians but it’s still the profession sticking to its class. But what about other workers and their unions, particularly those in our libraries? The strike this week across the UC system put this into focus again for me, as many aspects of campus and library services were disrupted despite efforts to minimize its effects. When we were told there would be no mail pickup, or when I had people cancel meetings, I rolled with it (and though good on them). Librarians – you need to look at your whole organization. And then the obvious…. Librarians – we need to do better in supporting our colleagues across the organization in their struggles for an equitable workplace. This seems pretty obvious, but I think we as professionals (and often academics) have behaved in a way that puts us apart from other kinds of library workers that has been quite divisive and damaging. The classic example is how librarians talk about deprofessionalization. We’re not staff, we’re professionals. Which makes many rightly bristle – aren’t all of our colleagues professional? Just because a library’s administration created a position that probably should have been classed a librarian but wasn’t, you still need to support the people in that position. It’s not their fault the job that was open doesn’t have the same rights, responsibilities and privileges that a librarian would have. One way to do that is to work to get them those rights and support them in that way. At a time when my union is bargaining for a new contract, it’s made me wonder how can we meaningfully support our colleagues in other unions achieve more equitable contracts and working conditions? The quick answer is to show up and support them when they strike. The long answer is that librarians need to eat crow and apologize for past slights and insults. We need to begin with reflection and self education. Recognize the importance and dignity of all work, and embody that belief. Libraries are complex systems and operations that need lots of different kind of workers to function. When I hear librarians laughingly plead ignorance about bib records because why should they actually need to worry about them, it’s embarrassing and offensive. (And also reflects the deprofessionalization of tech services…) So think about what you are going to say and be careful with how you say it. I know for a profession of people who tend to be driven by words, we can often be very pedantic and precise with our own, but also carelessly punch down. So much that I think most people don’t think they’re going to do it. I will probably have more to say about this in the future, but I just had to get this out today. This month UC-AFT is kicking off contract bargaining for UC librarians, so I have organizing on the brain. In a lot of the discussions I’ve had with people on campus and beyond, the issue of “professionalism” has come up a lot. Which in turn makes me think about the historic tension between librarians and paraprofessionals. It’s probably a galaxy brain level moment – but where’s the solidarity of library workers across the board? I understand the nature of the work is often different for librarians versus library staff. There has been many bytes typed out about the deprofessionalization of librarians, and the tiered system many libraries use to differentiate roles. It could be argued this once meant that librarians, the MLIS wielding professionals, were basically management whose interests did not align with the paraprofessionals and library staff (even though many of them too have MLIS degrees). Or is this a reflection of many “professionals” that they don’t need to be organized because management will respect them because of their lofty positions? I don’t know, but it’s really dragging library work and our organizations down. Library workers need to organize for fairness and respect across the board. Every role is hugely important – from the mail room, to the people who handle tech processing, to students who shelve books, or those running data management programs. We all need to be in a good place to function, which means we need to consider the rights and treatment of all library workers. One of the biggest obstacles is us though, and acknowledging the power dynamics and historical slights. There’s a reason the stereotype of haughty librarians looking down on paraprofessionals exists and we need to come to terms with that and address this. I think that sort of reflection of the profession will no only help with a better sense of solidarity within library work but also free us from stupid and outdated professional mores that are inherently exclusionary and discriminatory. Because librarians typically have more sway in their organizations, and we are expected to participate in the wider professional community, and most of all because we haven’t always looked out for staff that we need to be the forefront of this change. We need to have these conversations in our circles, and make sure we bring the voices from all library workers to the table. We need this cultural change.